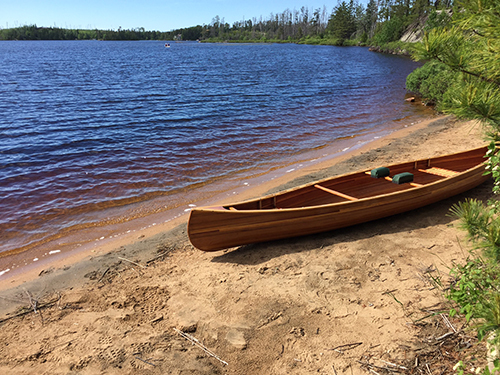 Two federal agencies on Thursday say they will protect the watershed of Minnesota’s Boundary Waters Canoe Area Wilderness. The U.S. Department of Agriculture and the Department of the Interior denied an application for renewal of two hard rock mineral leases in the area, as well as initiated steps to withdraw portions of the BWCAW watershed from new mineral permits and leases, according to a press release. “I have asked Interior to take a timeout, conduct a careful environmental analysis, and engage the public on whether future mining should be authorized on any federal land next door to the Boundary Waters,” USDA Secretary Tom Vilsack said in the release. As the surface management agency, the USDA’s U.S. Forest Service has issued a decision withholding consent to the renewal of two mineral leases located on lands near the wilderness area within the Superior National Forest in northern Minnesota. As a result of that decision, the Interior Department’s Bureau of Land Management, the agency managing the mineral deposits, is subsequently rejecting the renewal application, which was submitted by Twin Metals Minnesota in 2012. The two leases, initially issued in 1966 and most recently renewed in 2004, would have allowed for the mining of copper, nickel, and associated minerals from the leased lands. However, no mineral production has occurred on either lease since the original date of issuance. In not consenting to the lease renewals, the Forest Service cited the potential risk of environmental contamination of the surrounding watershed as a key concern. The two leases are located directly adjacent to and within three miles of the BWCAW, respectively. It is well established that acid mine drainage is a significant environmental risk at sulfide ore mine sites like the one proposed for these leased lands and in a water-based ecosystem like the Boundary Waters because contaminated water could have dramatic impacts to aquatic life, sport fisheries, and recreation-based uses and communities, the agencies’ press release states. The BLM will review the withdrawal application and issue a notice in the Federal Register to segregate the lands for up to two years, subject to valid existing rights. To preserve the status quo during that time, no new mineral exploration or development applications would be accepted while an environmental analysis is conducted. Upon publication of the Federal Register notice, there will be an initial 90-day public review period for the proposed withdrawal and additional analysis during the segregation period that will include further public involvement, including public meetings. During the segregation period, BLM and the Forest Service will conduct an environmental analysis to determine if the lands should be withdrawn for a period of 20 years. This process will invite participation by the public, tribes, environmental groups, industry, state and local government, as well as other stakeholders. By law, the Department of the Interior can only withdraw these lands for a maximum of 20 years. Only Congress can legislate a permanent withdrawal. This past summer, the Forest Service held two listening sessions and a 30-day public input period related to the potential lease renewals and received more than 30,000 comments, the agency says. Recently, government attorneys asked a federal judge to dismiss a lawsuit filed by Twin Metals, which is trying to renew its minerals leases so it could build a large underground copper-nickel mine. Attorneys for the Interior Department said the lawsuit by Twin Metals was premature because it didn’t challenge a final agency decision, as required by law. They noted that the department’s Bureau of Land Management was yet to decide whether to renew the leases. Twin Metals was challenging an opinion issued by the solicitor of the Interior Department in March that said the company didn’t have an automatic right of renewal. The company said when it filed the lawsuit in November that the opinion has cast a “cloud of uncertainty” over the leases that makes it difficult to proceed with its proposed $2.8 billion mine near Ely.